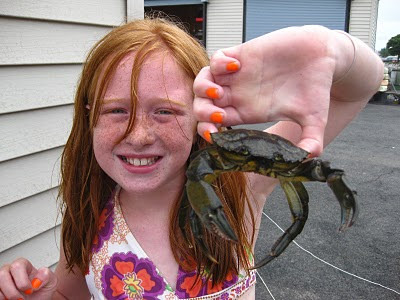 While gathering crabs for my recent culinary experiment, I ran into a paradox: South Boston’s most skilled crab catcher, Julia, was also the most ardent proponent of crab liberation. While tossing a crab trap off the side of the pier, Sean, another Boston Harbor Explorer, casually asked me whether people eat Green Crabs. I replied that I had tried eating one, and was going to cook several more for a potluck I had planned for that evening—the very crabs we were in the process of trapping. Julia, the redhead pictured grasping her prized catch, was taken aback. Julia’s a quick learner, and in no time at all she was baiting, lowering, and raising a pyramid trap faster than we could instruct her. During the course of the afternoon, she proceeded to catch the largest Green Crab I’ve ever seen—a male whose carapace measured 3.5 inches across. Although she’s an expert crab trapper, Julia holds nothing against the crabs she pulls out of Pleasure Bay. When Julia found out what lay in store for the crabs we had already captured, she took it upon herself to free our invertebrate prisoners. 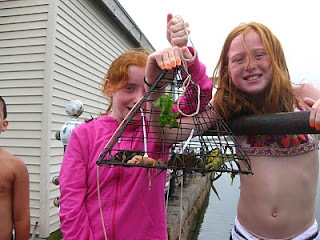 While Tom, Alex and I were busy with other Explorers, she grabbed the bucket and, stealthily dragging it to the edge of the pier, dumped every crab we caught that day back into the Harbor. Although I was a bit upset at having to make new cooking arrangements for my potluck, I admire Julia’s sympathy for the animals she captured, even if the concern was directed at a biological invader. 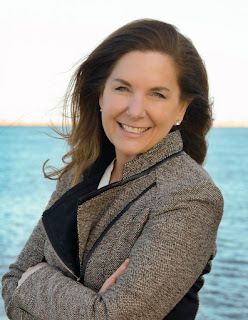 Julia’s compassion for living things is a sentiment that we need to cultivate in our youth—we can only preserve the Harbor as a natural habitat if we respect the animals that live there.